Starting from a dream and it becomes a reality now. When I was in elementary school, I learned about ASEAN (Association of Southeast Asian Nations). ASEAN was founded on 8 August 1967 with five members: Indonesia, Philippines, Thailand, Singapore, and Malaysia. From that lesson, I got to know a few things about southeast countries and I wanted to go to overseas. Last semester (3 rd year of college), I followed the SEA teacher selection, but I did’t get away. Then, I tried again on Batch 6 th. Alhamdulillah, I got a opportunity to go to Philippines for students exchange. I will tell you a little bit about my selection process. First step, I collected my curriculum vitae to the Head of Mathematics Education Major. I didn’t expect more that I’d get away with it. But suddenly, I received information that I had to follow an interview with SEA teacher coordinator of my college. 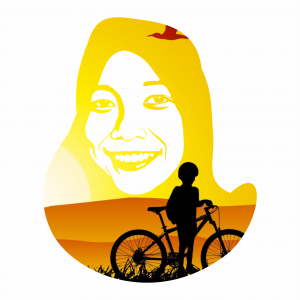 So the second step, I am interviewed by Mrs. Nurma Yunita Indriyanti as coordinator. The interview went well though I was very nervous. I was waiting for the announcement who would pass SEA teacher project. And tralalalalalala…. 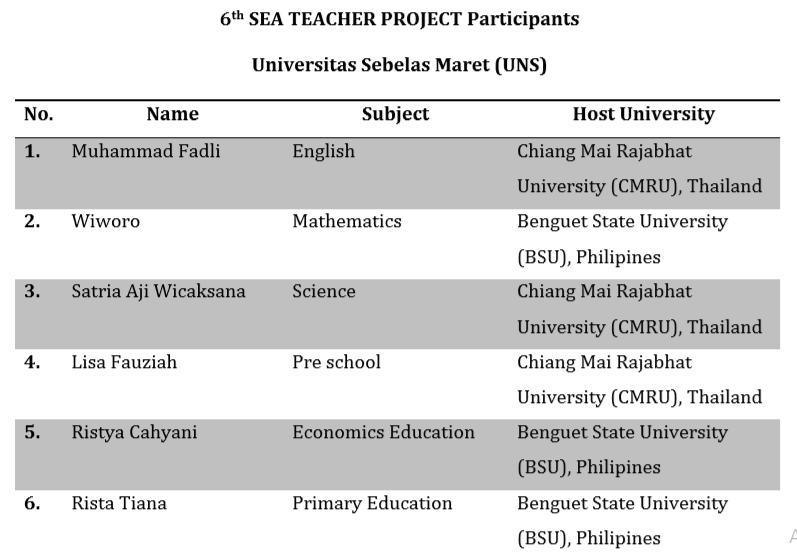 My name exist in the list of names would follow SEA teacher project. There ware six students from my university who will join on students exchange. Based on the announcement, I knew that I will go to Philippines and Benguet State University (BSU) was a university that will accept me. Oh, it was surprising. The next step, I had to prepare all the things which were needed, including passport, insurance, etc. There were some activities which were followed by me. There were interview with Mrs. Imelda G. Parcasio (the Dean of College of Teacher Education in BSU). But, she didn’t call me by Whatsapp because she had a bad connection, and then she asked me to send a self-introduction video. 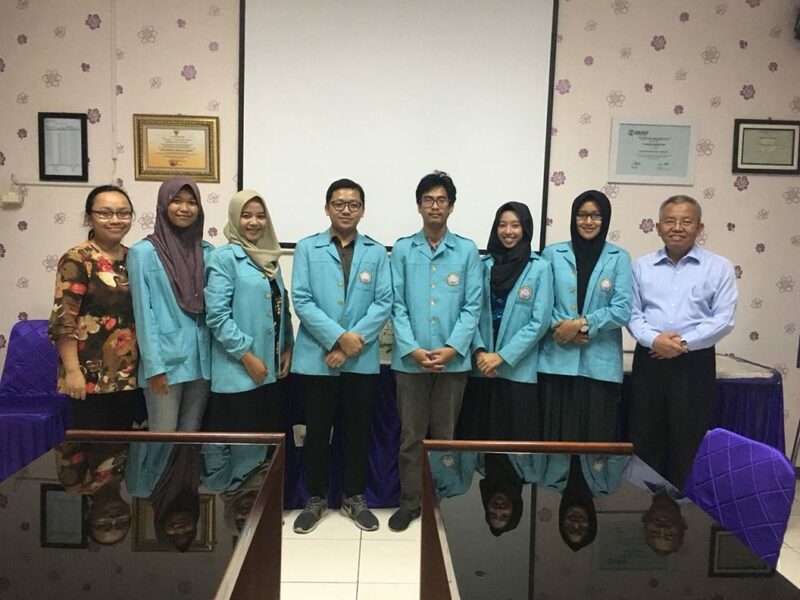 We also had meeting before our depature with our Dean, Prof. Dr. Joko Nurkamto, M.Pd. That was my brief stories before I will go to Philippines.